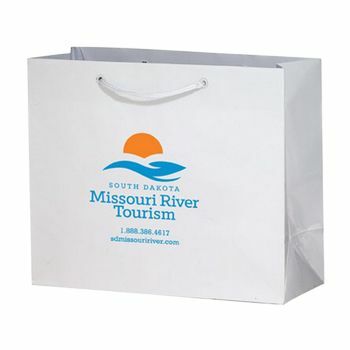 Get the word out about your company with these Gloss Laminated Euro Tote Bags, it is sleeky carrier with gussets. Durable and Reusable. 13 X 5 X 10"
We recommend going with a light color bag because dark colors tend to show scratches and fold marks more readily than light colors. 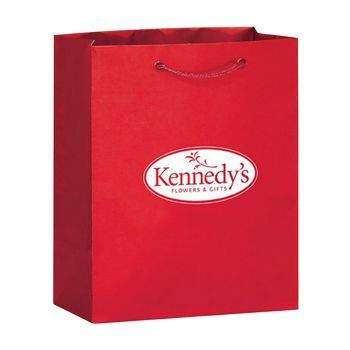 Besides, a bag this sleek should be bright to capture attention, it is well made product and comes in good color pallette. The cardboard insert sure makes it easy to hold on those gifts. This product is reinforced with a cardboard bottom insert for added stability and has a fold-over top. 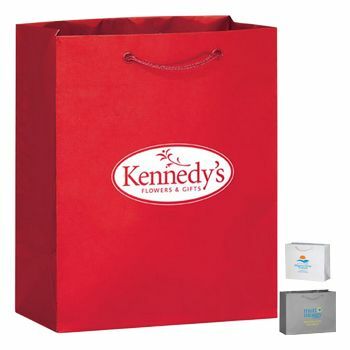 Proudly display your custom image logo or graphic on a large imprint area and your brand will look favorable to any customer. 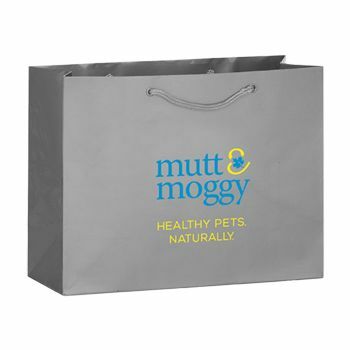 A bag like this Euro Tote is durable and can be used / resused at home or office for various purposes.